Scattering icy disco dust all over the place, ‘White Horse’ is the first single release from Jessica 6‘s debut album ‘See The Light’. Led by vocalist Nomi Ruiz, the band are all ex members of Hercules & Love Affair and were given a helping hand by Anthony Hegarty when he tipped them for future success in the Guardian last year. 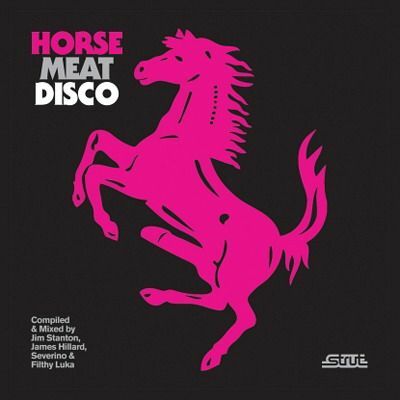 It’s very Horse Meat Disco (making me want to go tonight!) and happily slots into the whole nu-disco vibe with a large helping of early 90s house vibes. The new Horse Meat Disco album is out, but I’m still massively enjoying edition 1. The ultimate disco floor-filler moment on it comes from Sheryl Lee Ralph with ‘In The Evening’. The lyrics are brilliant and make me do all kinds of inside my hair music video construction. Who cannot relate to, “In the evening, the real me comes alive.” Maybe my current weary nature can’t, but me at 19 definitely can. Best of all though is the music video. It’s full of totally mental face pulling. I could watch it again and again open-mouthed at the mass insanity of it. Warning : serious amounts of ‘acting’ follow.